What is the challenge at stake? 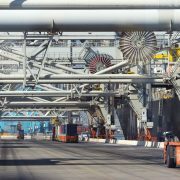 Already in 2012, the EU Blue Growth study1 referred to the need to overcome challenges to assure a sufficiently future-proof maritime economy. This is also the case for the western Mediterranean region. On the one hand, activities historically at the forefront of the EU Blue Economy in the region (e.g. tourism, transport) require greater innovation, new technologies and diversification to remain competitive through time, and ensure high levels of qualified employment. On the other hand, a number of emerging and “niche” sectors and activities (e.g. 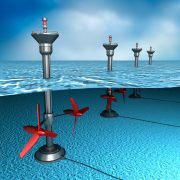 climate services, blue biotechnology, marine renewable energy technologies, sea infrastructures, agro-tourism, smart underwater robotics) require support to gain an adequate critical mass across the region and foster more tailored R&D as well as to allow for piloting/testing investments, so to deploy their full potential. All this, well aligned with the preservation of the health of the western Mediterranean in a global change environment that has out emphasis on observing systems delivering data to respond to science, technology and society needs. What are the persisting problems and gaps identified? A limited availability of comparable and aggregated socio-economic data-series is preventing further knowledge sharing and cooperation amongst businesses, researchers and policymakers across the region. Joint observatories and monitoring processes are certainly an essential element to boost a sustainable growth for the region, and yet, even if well-established international and open observing systems are in place, these are still ineffective in a global western Mediterranean perspective due to institutional and sectoral fragmentation (Report 2, Chapter 2.12). This limited amount of data prevents a proper understanding of the natural variability and the economic performance of the region, and limits the ability of policy makers to put in place effective support actions. A range of important initiatives are available to support greater blue innovation across the region, such as the BlueMED Initiative, but they do not cover yet the whole western Mediterranean region. Although some trends in clustering initiatives have emerged, with greater potential for growth with respect to the overall performance across the Mediterranean (ibid. ), clusters in the Western Mediterranean are still limited. Those weaknesses are also reflected by the limited synergies amongst traditional and emerging sectors of the Blue Economy in the region, for example through the development of clustering initiatives (Ecorys 2013b3). The low uptake of aquaculture research in a number of Western Mediterranean countries, particularly in the southern shore, and the still limited (although increasing) cooperation amongst researchers and businesses across the two shores, is therefore hindering the potentials for greater sustainable aquaculture deployment across the region (ENETMAR 20144, Ecorys, 20155). Also, more innovation in process and technology is required to boost the whole marine biotech value chain, including for food production, pharmaceuticals, cosmetics, ship maintenance (anti-fouling) and environmental applications, such as oil remediation and marine micro-plastics biodegradation6 (ENETMAR 2014). Development in Marine Renewable Energy Technologies (MRETs) could well support internal energy demand in the region (Med Maritime 20147, SAGE 20168, MEEA 20149). The western Mediterranean region is facing a number of complex maritime threats, leading to growing concerns on the safety and security of human and economic assets. All such concerns are preventing future Blue Economy development potentials across the region and require greater coordination across involved actors to increase maritime safety and security at sea in the region. A number of initiatives involving Southern partner countries promote the development of maritime surveillance, maritime security and safety, but this promotion and means allocation are done at different levels or with different partners in the region and cooperation amongst coastguard functions across the western Mediterranean region is still limited. The set-up, maintenance and operation of information-sharing systems are a pre-requisite for enhanced maritime surveillance to sustain safety and security policy. Although progress has been made to facilitate information sharing in specific crises (e.g. oil pollution events), the geographical coverage of existing data systems is still limited on the Southern shore of the Mediterranean. For the time being there is still a lack of information-sharing regarding the maritime pictures (i.e. covering the different issues at stake) across the western Mediterranean region as a whole. Different initiatives1 are dealing with cross-border cooperation with respect to the issue of maritime security and safety, with different EU agencies being involved (European Border and Coast Guard Agency (FRONTEX), EMSA, EFCA). 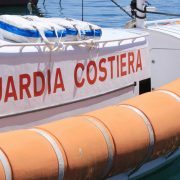 These initiatives can be used as seeds to enhance joint initiatives in the field of maritime safety and security in the western Mediterranean region, building on the existing cooperation actions (capacity building with SAFEMED projects or Seahorse Mediterranean Network for instance)..
An enhanced and homogeneous maritime safety culture in the Mediterranean is needed. It can be incentivised through the cooperation between EU and Non-EU coastal States in key areas such as flag state implementation; port state control; protection of the marine environment; maritime traffic surveillance; search and rescue. Joint activities, exchange of best practices between EU and Non-EU Countries and facilitation of existing tools and applications are an additional step towards greater coordination within the Region. Cooperation amongst training centres, aimed at enhancing mutual understanding and promoting joint training sessions (on bi-lateral and multi-lateral basis), common exercises, exchange of personnel and other training cooperation activities, would bring benefits. Current efforts towards greater coordination have been fostered (e.g. through the recent establishment of the European Border and Coast Guard Agency and the relevant revisions of the Founding Regulations of EFCA and EMSA), taking place on the northern shore of the western Mediterranean region, should inspire similar developments across the western Mediterranean region as a whole. Due to the humanitarian consequences of illegal migration flows trying to cross the western Mediterranean, maritime surveillance operations in the region often move to contingent actions aimed at rescuing migrants under control of national responsible bodies. The importance and unpredictability of the flows often exceed the capacities of locally involved coastguard functions and bodies. 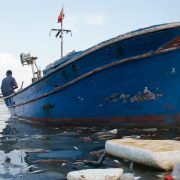 In this respect, the limited cooperation across the whole sub-sea basin poses some challenges with respect to the needed flexibility of local operations (OSCE 20142), to respond to the magnitude of illegal migration flows and to quickly adapt to the unpredictable evolution of the path of such flows. Towards a common approach to maritime surveillance, skills development and capacity building? Sustainable consumption and production (SCP) is a paramount objective and prerequisite for a blue, sustainable development allowing economic growth to decouple from environmental depletion and growing consumption of natural resources. Current patterns of economic development in western Mediterranean riparian countries are characterised by resource-intensive production processes as well as consumption intensive lifestyles, which exert considerable pressures on local and regional ecosystems, contributing to resource scarcity (water, energy, raw materials), pollution, waste generation, and greenhouse gas emissions. A large part of the pollution in the western Mediterranean (out of which, 80% originates from land-based sources) is caused by inefficient industrial processes and poor management of waste. Environmental and social externalities, addressed, partially or not at all, of the many activities carried out in the region, by market and policies, may offset the incomes and benefits they provide. Taking into account environmental degradation and climate change, cost-effective opportunities exist for countries to develop eco-efficient economies: the way in which goods and services are produced, sold and consumed needs to be redesigned with the objective to drive the revitalisation of the industrial and socio-economic development towards zero-waste, low-carbon, resource efficient, socially inclusive, green (and blue) circular economies. During the last decades, much progress has been made towards SCP in the Mediterranean region as a whole through the work of the UNEP/MAP – Barcelona Convention, culminating in the recent adoption by the Contracting Parties of the Barcelona Convention of a series of decisions on the SCP Action Plan, the Implementation of the Marine Litter Action Plan and the Mediterranean Strategy for Sustainable Development 2016-2025. At the EU level, an important development is the adoption of the Circular Economy Package1, yet not specifically applying to the coastal, marine or maritime sectors. The recently adopted General Fisheries Commission for the Mediterranean (GFCM) mid-term strategy2 will help in ensuring more sustainable harvesting practices of marine living resources. Many western Mediterranean countries are making progress in identifying SCP patterns as a priority in their national policy agendas. The implementation of SCP practices already shows positive environmental, social and economic impacts with tangible and achievable co-benefits for for climate change and direct improvement on cross-cutting issues as water and energy efficiency, land use, mobility and pollution. Overall, the transition to a green and low- emissions economy is providing real opportunities for preserving natural resources, job creation, improvement of the quality of life for all and a sustainable future. However, many challenges still hinder the decisive shift towards sustainable consumption and production patterns. These are linked to a number of features such as SCP legislation/regulatory frameworks, including sustainable procurement and in particular public procurement, which disposes of a major potential to shift to more sustainable production patterns through sustainable government consumption itself, but also through governments’ role-setting for the private sector and through the creation of new markets for sustainable products; or improvement of business competitiveness through the transfer of environmentally sound technologies; or adjustment of adequate economic and financial instruments so as to meet the needs of eco-entrepreneurs and investors. Eco-innovation is helping in developing new sustainable products and services, since environmental impacts occur at all stages in the life cycles of products and materials, being often connected to land use, combustion of fuels, industrial processes, dispersive use of materials (e.g., fertilizers), or resource extraction (including biomass and minerals). Looking at the consumption side, education and awareness throughout the region, as well as actions (including incentives) aimed at changing life styles, consumers’ behavioural responses, together with overall civil society empowerment, are instrumental in shifting towards sustainable consumption and production patterns. Achieving a Good Environmental Status of marine environment and conservation of coastal ecosystems in balance with socio-economic development in the western Mediterranean region is a major challenge demanding a solid and well-coordinated managerial framework, able to equilibrate competing demands for limited natural resources and limited space. Environmental concerns in the western Mediterranean have been well-identified under different long-lasting and consolidated governance frameworks1. Environmental concerns in the western Mediterranean region have been well-identified under different long-lasting and consolidated governance frameworks2. 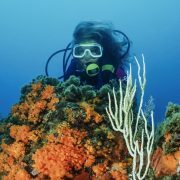 Among these, the Barcelona Convention for the Protection of the Marine Environment and the Coastal Region of the Mediterranean3 and its protocols provide the legally-binding set of instruments for addressing common environmental issues and protecting marine environment and coastal region of the Mediterranean. While, the General Fisheries Commission for the Mediterranean provides an equivalent legally binding framework for fisheries management in support of environmentally sustainable harvesting of biological resources. A tradition of cooperation on marine and maritime issues is in place in the Mediterranean, and a wide range of agreements and strategic initiatives (e.g. International Maritime Organization Blue Belt by FAO, UNEP/Mediterranean Action Plan, Mediterranean Strategy for Sustainable Development, Regional Action Plan for Marine Litter, and Integrated Coastal Zone Management Action Plan among others) have been adopted and ratified by most of the surrounding countries. In particular, environmental issues have been the subject of various initiatives under the framework of UNEP/MAP – and in most cases, in partnership with other regional structures4 – the implementation of which is supported by a solid network of Regional Activity Centres (RACs)5. A number of persisting problems in the current governance arrangements remain, such as weak engagement, involvement and participation of stakeholders in the decision-making processes. 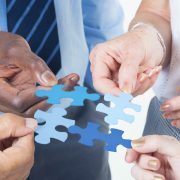 Improved integration and networking within administrations, between administrations and with economic and community institutions outside/beyond administrations open up new forms of arrangements and partnerships, and offer a way forward for a smart and sustainable development and management of maritime activities. The private sector, traditionally left behind, must be actively involved as a generator of financial benefits emerging from an increased eco-efficiency and an eco-industry able to produce growth and jobs while fully respecting and protecting public health and natural resources. Key players are also academia and other professional communities (e.g. industry), as vectors of generation and transmission of scientific and technical knowledge and information that need to be leveraged in the service of the sustainable development (and use of biological and mineral resources), to stimulate innovation and improve competitiveness and efficiency of industry, public authorities and researchers. Finally, stronger engagement of citizens is needed to spur governments and companies and support their continued commitment on the long-term. In the Mediterranean Sea marine life is heavily threatened by habitat degradation mostly due to human activities, such as fisheries, ship traffic, water pollution, coastal anthropization. The cetacean populations are currently affected by heavy pollution which contaminates the marine food web by overexploitation of marine resources due to unsustainable and not selective fishery, and also by direct and indirect take of cetaceans. Coastal development, intensive tourism, and land reclamation for agriculture place pressures on key wildlife habitats in the Mediterranean. Local and regional problems related to pollution, specifically effluents from domestic and industrial sources, oil transportation and refineries, and agricultural runoff, are beginning to have an impact on wildlife. Additionally, intense development, sand excavation, urbanization, and the release of untreated sewage into the sea is a major public health issue, as increased numbers of microorganisms have led to an increase in several diseases. The fisheries of this region have been overexploited and many local fisheries are declining as a consequence of indiscriminate trawl fishing and high levels of by-catch. Besides, the enforcement of already adopted and new environmental regulation relies upon the existence of a structured institutional and administrative framework, well-organised at all levels (international, regional, national, local), and able to provide coordinated and results-based planning, management and implementation. In order to support this, there is a need to strengthen the capacity to attract sustained financial resources and investments, by facilitating, catalysing and enhancing access to inclusive financial mechanisms while keeping balanced governance (global/regional, private/public). There is also a need to set up adequate financial resources management and allocation models to make available sufficient financial and human resources to assure appropriate public organisation and participation, particularly at local level.